A 2016 KU Law graduate has earned a scholarship awarded to only a select few students in New York University’s No. 1-ranked graduate tax program. Matthew Schippers, L’16, has been chosen as a recipient of a Tax Law Review Scholarship at NYU School of Law for 2016-2017. The merit scholarship, which covers half of tuition, is awarded to eight outstanding entering LL.M. and joint-degree students. As a scholarship recipient, Schippers will be a graduate editor of the Tax Law Review and work closely with the publication’s faculty editors. Schippers has accepted post-graduate employment with Triplett, Woolf & Garretson LLC in Wichita. He is studying for the Kansas bar this summer and will move to New York at the end of August to begin the LL.M. program. KU Law Dean Stephen Mazza received the same scholarship and served as an editor of the NYU Tax Law Review in 1992-1993. Recent KU Law students to complete NYU’s highly regarded tax LL.M. program include 2015 graduates Paul Budd and Mark Wilkins and 2012 graduate Joel Griffiths. A native of Wichita, Kansas, Schippers earned a bachelor’s in business administration and accounting from KU in 2008. He worked for five years as a corporate accountant for Koch Industries in Wichita. 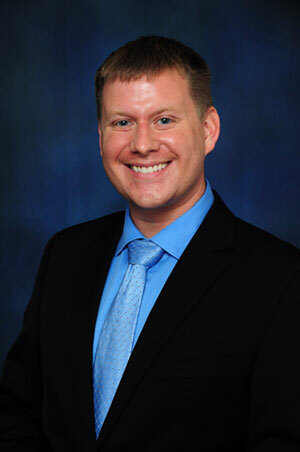 He holds an active CPA license and has written two Tax Court case briefs for the Journal of Accountancy. At KU Law, Schippers graduated in the top 10 percent of the 2016 class, completing the Tax Law Certificate and the Business and Commercial Law Certificate. He received both the UMB Bank Excellence in Estate Planning Award and the Robert E. Edmunds Prize in Corporation and Securities Law. He was also a recipient of the J.L. Weigand Scholarship. Schippers served as an articles editor on the Kansas Law Review, where his comment was published in December 2015. Outside the classroom, Schippers led KU’s Volunteer Income Tax Assistance (VITA) program, which prepared nearly 250 federal and state returns for low-income taxpayers in the Lawrence area during the 2016 tax season. He was Phi Alpha Delta treasurer for two years. He also serves as a Shook, Hardy & Bacon Scholar, leading a 1L study group for Contracts and Constitutional Law.